At Royal Pets Market & Resort, we’ve written a lot about dogs in the past. But our fellow cat owners need some love, too! Cats are fun and interesting house pets, and they’re ideal for people who are looking for a traditional house pet without the relatively high maintenance of a dog. Indeed, in a sense, cats tend to take care of themselves. Of course, that doesn’t mean that you shouldn’t be providing your feline friend with the very best in cat toys, cat treats, and giving them as much attention as you possibly can. With plenty of food and water to casually consume at home, it’s convenient that cats are somewhat independent, especially if you’re a busy person who spends a lot of time outside of the house. However, even cats can get a little bored sitting around all day doing next to nothing. What can you do to keep your kitten entertained while you’re at bay? Posting saved photos on your cat’s very own Instagram account might keep you entertained in between errands or during work, but you’ll still want to make sure that your cat isn’t losing his or her mind by running around in circles, digging your carpet up and leaving a mess for you to return home to. Come Visit Our Pet Market In Tampa Bay Today! Below, our Pet Resort in Tampa Bay is going to cover some simple but effective ways to keep your cat occupied as you live your day-to-day life outside of the home. Royal Pets Market & Resort is proud to be the best pet market in Tampa Bay, as we sell plenty of pet toys, pet accessories, pet treats, dog and cat products, and so much more! From dog boarding to pet daycare to our animal hospital, if you can think of a service that relates to your cat or dog, then we do it! Learn more about our Apopka, St. Petersburg, Palm Harbor, and Carrollwood locations by visiting here. Got Any Leftover Cardboard Boxes? If so, then you have a free cat toy! So long as you’re willing to deal with the inevitable mess, your cat will probably enjoy playing in a cardboard box. When you are home, encourage your cat to play with the box by playing hide-and-go-seek or another game where they chase your hand and nearly rip it to shreds — not unlike the box itself. Jokes aside, cardboard boxes are a cheap way to keep your cat occupied when you’re not around, and they’re also incredibly inexpensive to replace, too. Cats love a room with a view. Whether they’re an indoor or outdoor cat, cats are simply drawn to the outside world and enjoy watching people walk down the sidewalk or leaves rustling in the wind. By simply leaving even just a section of your blinds open, your cat pretty much has an endless stream of viewing entertainment while you’re out of the house. Think of looking out the window as kitty TV. If looking out the window isn’t enough or it’s just not an option for you, consult YouTube for Cats. There are plenty of videos online that feature clips that are interesting to cats, and if you’re willing to run your television or computer all day, there’s no doubt that they’ll at least be somewhat interested in what’s going on. The best part? Like looking out the window, Cat TV is basically free — provided that you’re paying your internet bill. Your cat should have their own furniture to hang out on while you’re away. Things like scratching posts, cat trees (or cat “castles”) and scratching benches are a great way to satisfy their itch to scratch while giving them an area to explore in. Another bonus of cat-specific furniture is that, ideally, it should help protect your own furniture, discouraging them from scratching at that fancy new couch you picked up. Of course, we can’t make any guarantees! Note: Approach this cat entertainment strategy with EXTREME CAUTION. It’s true that, traditionally, cats and fish aren’t always the best mix. In fact, it’s usually a lethal combination...for the fish. 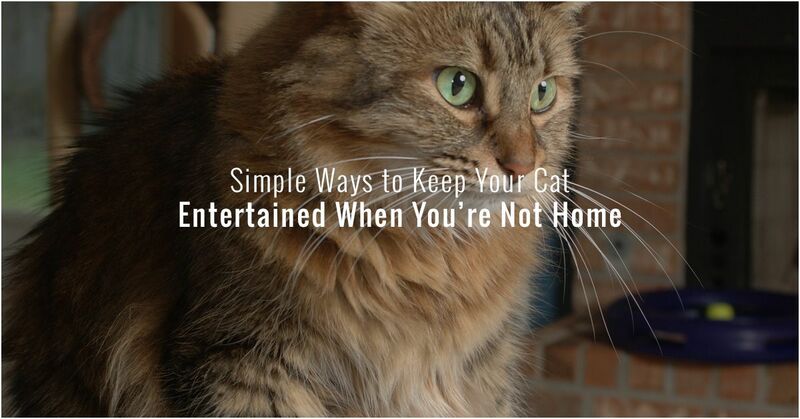 However, having a sturdy and secure fish tank does provide your cat with superb entertainment when you’re not around. Plus, fish tanks add a nice touch to the interior of your home, so that’s nice. As long as there’s absolutely no way that your cat can get into the tank or knock it over — keeping your fish, your floor, and your sanity saved in the process — having a fish tank does have its benefits. Treat Your Cat At Our Tampa Bay Pet Market Today! 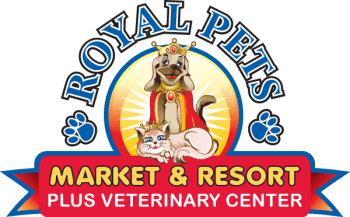 With a massive selection of pet supplies, cat toys, cat treats, and grooming services designed just for you and your pets, Royal Pets Market & Resort is the go-to pet resort and pet market in Tampa Bay. Visit us today!